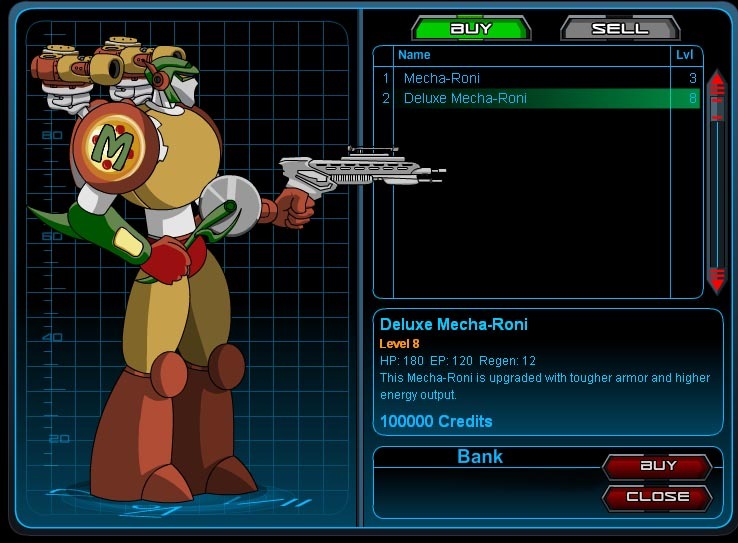 Description: This Mecha-Roni is upgraded with tougher armor and higher energy output. Description: State of the art friction-less pizza slicer! 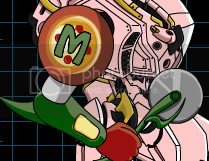 Guaranteed to slice through metal... and cheese! Description: Causes your enemies to be gummed up by gooey cheese! Extra Spicy Pepperoni! +x% Damage Boost!, Chance of X% Damage Boost. Description: Supreme laser used for slicing skyscraper-sized toppings. Description: Nauseate your opponent with your awesome garlic breath! Lowers immobility resistance! Description: Slice your enemy up into tiny little pieces while increasing your own Damage and Accuracy!